A true renaissance man, Jerzy Ficowski was a writer, poet, translator, a scholar specialized in gypsy culture, expert on writers Bruno Schulz and Bolesław Leśmian and painter Witold Wojtkiewicz, composer of popular songs and Second World War underground soldier. Culture.pl presents this brilliant man-of-all-trades through a spectrum of his guises and accomplishments. During the German occupation, young Ficowski got an underground education and became involved with the opposition based in Warsaw's suburb of Włochy suburb. On the 13th of October 1943 he was arrested in a raid, thrown in the notorious Pawiak prison, then released after a short period. 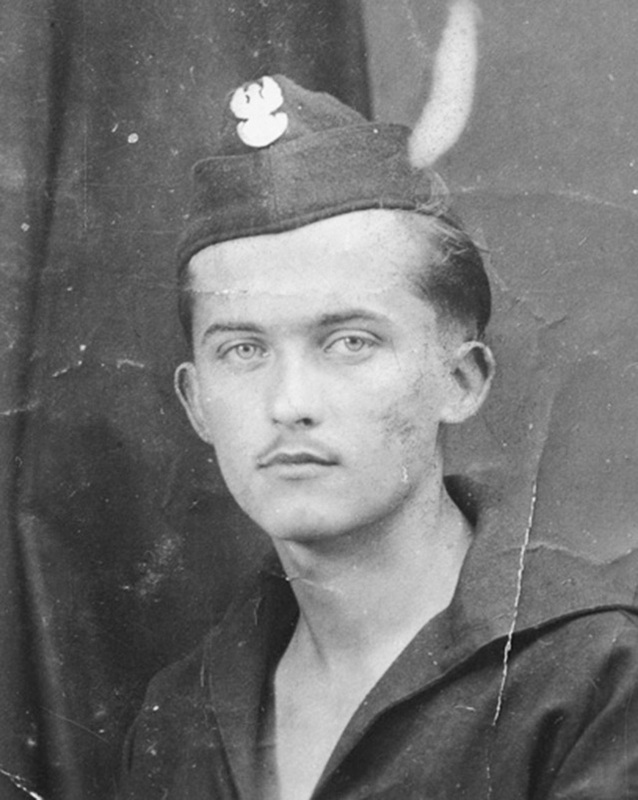 At 20, he joined the Warsaw Uprising, taking the codename Wrak and joining the Baszta company in heavy fighting in Mokotów, the city's southern district. After the Uprising he was sent to a POW camp in Germany, but managed to escape in 1945 and return to devastated Warsaw. As his wife, Elżbieta, would recall, he never wanted to speak of the time of the Uprising. He was of the mind that his participation was driven by a sense of duty rather than a sense of conviction. He felt he'd lost all his childhood friends in the fighting - and if it hadn't been for the Uprising, these people would have survived to do a great deal for the liberated nation. Topics of war and his own losses are revealed in the verses of his first poetry collection, Ołowiani żołnierze / Tin Soldiers (1948). The title poem speaks of the scum of memory and forgetfulness. 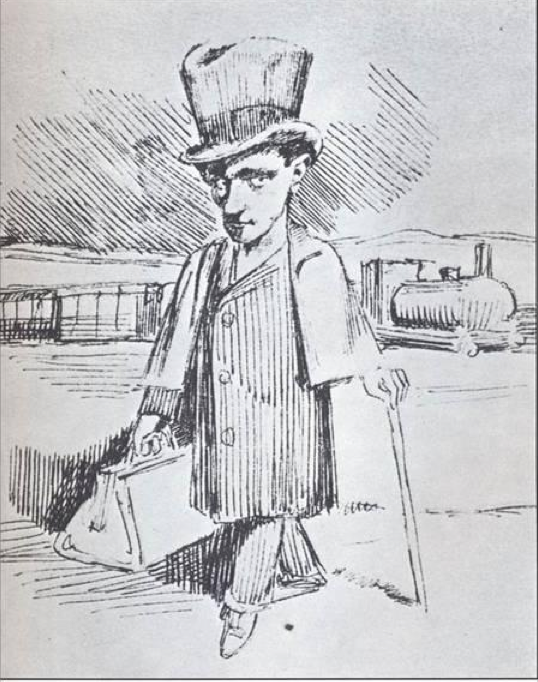 The first time Ficowski joined a gypsy caravan was in 1949 (he made consistent use of the term "gypsy" in favour of the more politically correct "Roma"). Edward Czarnecki, already immersed in gypsy circles, helped his early forays into their hermetic society. At first Ficowski had a plan of writing a book about them, but reality altered his plans. At the same time, his time among the gypsies served to hide Ficowski away from the Security Bureau agents pursuing him for his activities with the anti-Communist Home Army during the war. Ficowski learned the gypsy language, gaining the trust and friendship of many and sharing their nomadic lifestyle. The gypsy tradition based on seasonal roaming was halted in 1964 (attempts to settle the gypsies had been introduced by Communist authorities in 1950 under the guise of "productivisation"). 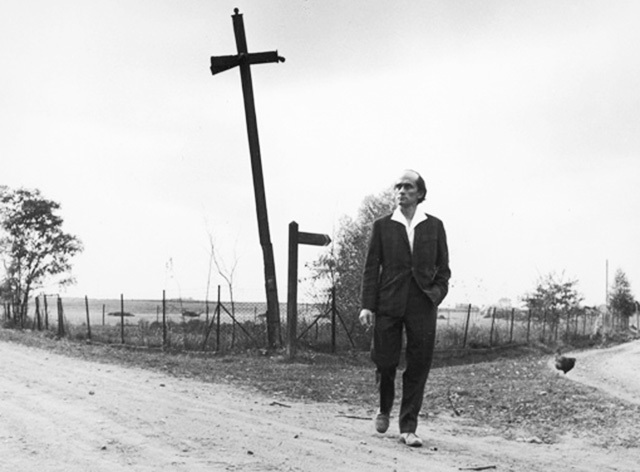 Ficowski's journeys with the gypsies live in his books Cyganie polscy / Polish Gypsies (1953) and Cyganie na polskich drogach / Gypsies on the Polish Road (1965), in Pod berłem pikowego króla / Under the Sceptre of the King of Spades, which explores the secrets of gypsy fortune-telling, and in his collection of gypsy tales for children. 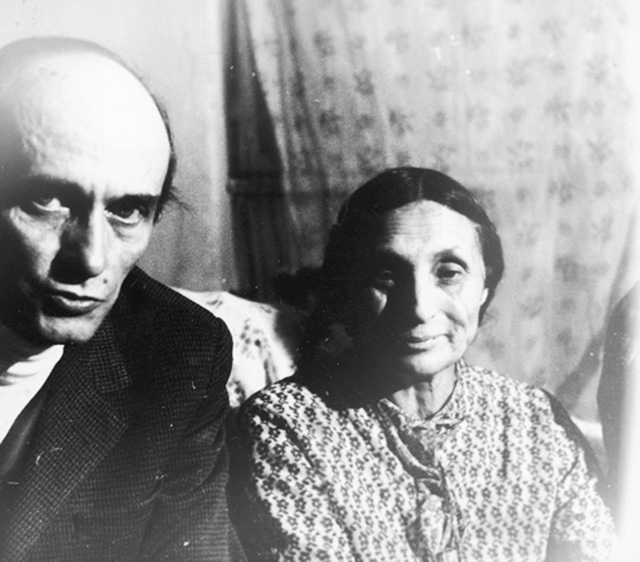 In 1956, Ficowski published his translations of poems by Papusza - Bronisława Wajs, the gypsy poet who wrote in the Roma language, composing poems that were drawn from gypsy folksong tradition, offering a glimpse into the private thoughts and yearnings of this otherwise secluded people. The publication had an indelible impact on both their lives, as they each experienced scorn from the gypsy community for revealing treasured secrets to the world. Ficowski had met Papusza over the course of his first expedition with the gypsy caravan in 1949 in the Pomerania region, where they had traveled after the war. The group was looking for an area to settle, with the authorities encouragement (not yet the aggressive insistence that would be applied in the future). Papusza was around 40 at the time. Ficowski uncovered her talent and, what's more, convinced her that she had a talent for poetry in the first place, as she had little confidence in her musings. He encouraged her to write her poems down and share them with him. They were written in a shaky hand, signed simply Papusza (a nickname that came from the Roma word "doll"). In her poems she would refer to Ficowski as a brother. He published her work and spread the word to other poets and the public. Acclaimed poet Julian Tuwim also became a great admirer of her poetry. Yet the publication of her poems in 1956 came with tragic consequences. Accused of treason by her people, who believed that sharing their secrets with the outside world was a crime, threats against her led her to fall victim to mental illness that lasted until her death at 70. As Ficowski wrote, by the end of her life, Bronisława Wajs had completely forgotten about Papusza, having discarded poetry from her life and from her memory. A film currently in the works about Papusza, her life and poetry. For more about the project, see Papusza Praised Internationally. Among Ficowski's many incarnations, that of songwriter is the most entertaining. His themes were also drawn from gypsy lifestyle. Many songs have endured to this day, for example Jadą wozy kolorowe / Coloured Wagons Ride By, performed by popular singer Maryla Rodowicz. Ficowski first read Bruno Schulz's Cinnamon Shops in 1942 - the year Schulz was killed by a Gestapo officer. He was given the story collection by a friend. As he recalled, "One day I read it and... I found myself on the edge of insanity and awe, this book affected me like a strange drug or spirit, I felt as if I were ill, that I couldn't take it. I was 17 at the time, I was bitten for life..."
He continued to read Schulz through the occupation. After the war he decided to find what had remained of the artist-writer's life and works, including his sketches. He made inquiries and sought out people who had known Schulz, traveling to the places Schulz had been - Drohobych, Truskawiec and Lviv in what is now Ukraine. Thanks to Ficowski, we have a broad collection of letters and recollections on the writer today. He forged a rapport with Józefina Szelińska, Schulz's romantic partner, who had reserved her anonymity for years (figuring only as J. in correspondence with the writer). And he brought to light the fact that it was Szelińska's translation of Kafka's The Trial that Schulz had signed with his own name. Ficowski also uncovered drawings by Schulz, publishing a volume of these works (recently reprinted by the publisher Słowo/Obraz Terytoria). He remained frustrated that a great deal of valuable material was still out of reach, such as letters written to Szelińska, which had been kept in the house outside of Lviv, and the first version of Cinnamon Shops, most likely burned about a year before Ficowski made it to her house. Until his last days, he believed that Schulz's magnum opus Messiah existed and could be recovered in his lifetime. Ficowski was Schulz's guardian of sorts. He defended his originality against comparisons with Kafka - asserting that the two differed in their approach to matter: "Life, real existence had for Schulz the most essential meaning as a raw material for his work" - and against other experts who had known Schulz personally. In polemics with Andrzej Chciuk on whether the writer adopted Catholicism in the 1930s, and with the critic Artur Sandauer on whether he had actually been an atheist and Marxist, he used facts to defend the writer against those assertions. After many years, another Schulz expert, the literary critic Jerzy Jarzebski, confirmed Ficowski's claims. His interest in Schulz resulted in the monographs Regiony wielkiej herezji / Regions of the Great Heresy (1967) and Okolice sklepów cynamonowych / Around the Cinnamon Shops (1986). He spoke of himself not as an expert on Schulz but as a follower. He considered Schulz, along with poet Wladysław Leśmian and painter Witold Wojtkiewicz, in his mythical trinity. Ficowski's accomplishments in the field of literary translation span Roma poetry and Papusza's writings, Federico Garcia Lorca's work, the love poetry of Dubrovnik, Jewish folk poetry and Icchak Kacenelson's Song of the Murdered Jewish Nation, as well as the poetry of Leśmian in Russian. His translations were often based on philological transcriptions (from Romanian or Yiddish) and he proved himself an unsurpassed master of the Polish language. In considering whether all these varied projects could be linked, scholar Jakub Ekier sugggested that not only were the translations convincing, they are also characterised by a certain marginality, the way they stray from the centre. "Yet what is this centre after all? Contemporary Polish language? The Warsaw language of generations? Or perhaps his personality?" Ekier inquired. A sizable collection of Ficowski translations have been put together in Mistrz Manole i inne przekłady / Master Manole and Other Translations (Pogranicze, 2004). Ficowski made his debut as a poet in 1948 with the collection Ołowiani żołnierze / Tin Soldiers. Critics remarked on the influence of Julian Tuwim on his writing and his later references to the interwar avant-garde, the "grotesque" and fairy-tale elements. In total he published 14 collections of poetry, considering Odczytanie popiołów / Reading Ashes (1980) his most important work, which took up the subject of the Holocaust and which he worked on for many years. "I wrote for a long time in order to avoid offending anyone with what I wrote", he would later say. Ficowski had the impression that "a poem does not have to dress up in a costume to be an invention, it doesn't have to hold onto the standard of using few words. It is the discovery of a strange, sometimes magical truth about the world", he explained in an interview with Lidia Ostałowska. Henryk Grynberg wrote about Ficowski's poetry on the Holocaust, calling him the most important figure in this realm and remarking that "after him there is a great, great abyss". He singled out such poems as Wniebowzięcie Miriam z ulicy zimą 1942 / Miriam's Ascent to Heaven from the Street in Winter 1942 and Sześcioletnia z getta żebrząca na Smolnej w 1942 roku / 6-year-old from the Ghetto Begging on Smolna Street in 1942. 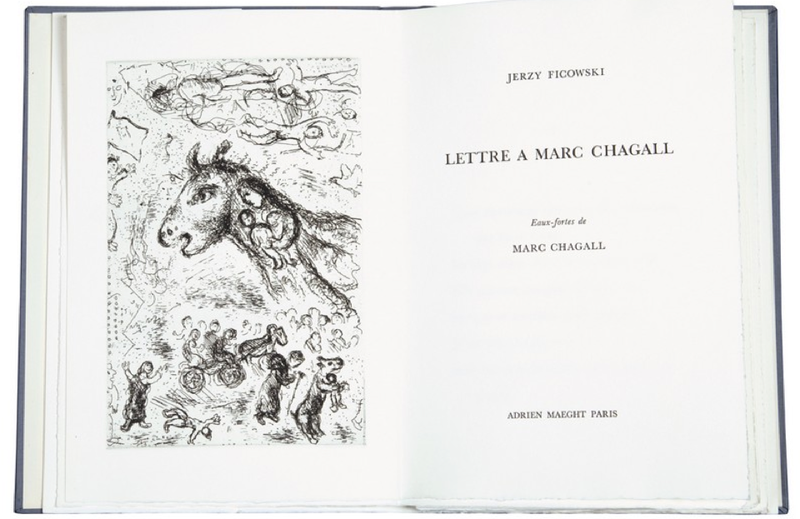 Marc Chagall expressed his admiration for Ficowski's poetry in 1968 and answered the poem A Letter to Marc Chagall with an illustration that later became part of the collection Odczytania popiołów. For Ficowski poetry was a sacred thing, and he said "Poetry is not an occupation. It is a series of sacred moments. A poem happens". He would say that writing poetry was the only access he had to a sacred practice. Ficowski was burdened by the conviction that he lacked the mien of a social activist - yet for many years he actively participated in the opposition. He was among the petitioners in 1968 calling for a meeting in criticism of the authorities' cultural agenda. In 1971 he wrote a letter against the anti-Semitic persecution of the time, which forced thousands of citizens to emigrate and took away their Polish passports. Ficowski called for action that would bring them back to their native land. Ficowski became one of the signers of Memorial 59"in December 1975, which protested changes to the constitution. Three years later he joined the Workers' Defense Committee (KOR). "I joined the Uprising not because I liked to shoot guns, because I'm no sniper. I joined KOR even though I lack the instincts of a social activist", he explained. His KOR membership lasted from 1976 to 1980 and brought a ban on publishing his works. "Paradoxically, this was a fruitful time for me because I was released from any limitations", he said. During this period he finished a decade of work on Reading Ashes and translated the poem by Kacenelson, one of the most startling accounts of the Holocaust. "When money was scarce, I would sell a few old things and a gypsy caravan to the museum. I survived".